More football, I’ve been packing in the games while being off work. Sheffield FC reign indisputably as the world’s oldest association football club, being founded in October 1857 which, to put it in perspective, was three and a half years before the American Civil War broke out. They have been going steadily along for the last 160 years without ever having made much of an impact in sporting terms, thanks largely to their having steadfastly refused to embrace professionalism back in the 1880s. But they’re still around, a mecca for football tourists the world over (like me let’s face it) if the graffiti in the toilets is anything to go by, and they still have their little community of fans, like this guy, who may well have been in this spot for many decades. Metaphorically at least. 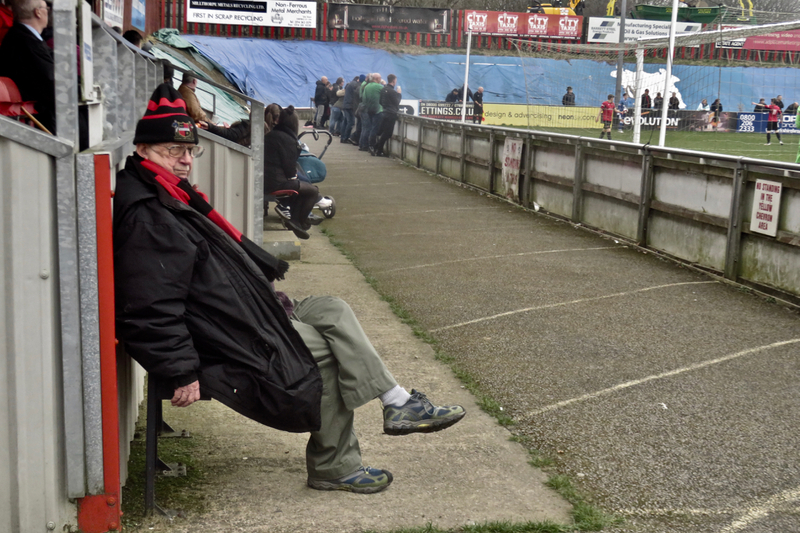 Not a great day on the pitch though — they lost 4-0 to Leek Town. Don’t worry — only a month now until the end of the season. The story behind this place is such a long and difficult one to tell – North & Hodson’s book Build a Bonfire will give you the first part, doubtless someone will write the second instalment one day. Suffice it to say that as a Brighton fan making my inaugural visit here this afternoon, when I first entered it, I cried. Just a little bit. 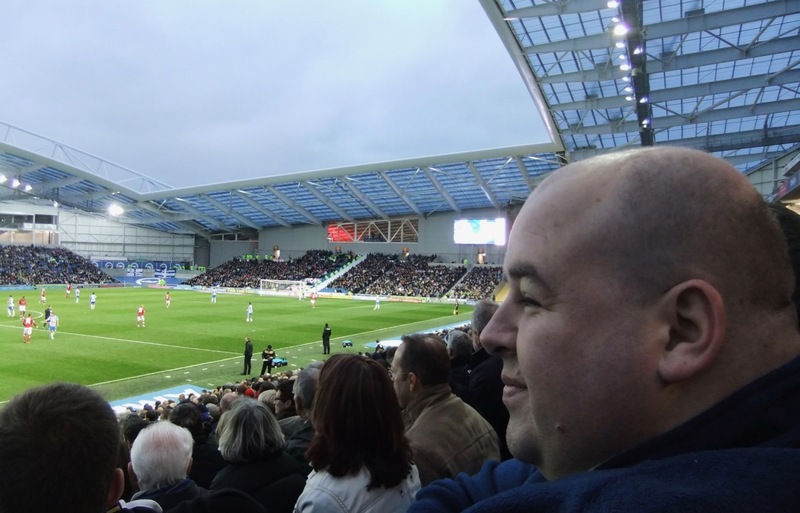 Today’s result: Brighton & Hove Albion 2, Barnsley 0. We won’t mention the failure of Southern rail to get me and a few thousand other fans back to Brighton because of a ‘staff shortage’. I mean, it’s not like they knew we were coming.